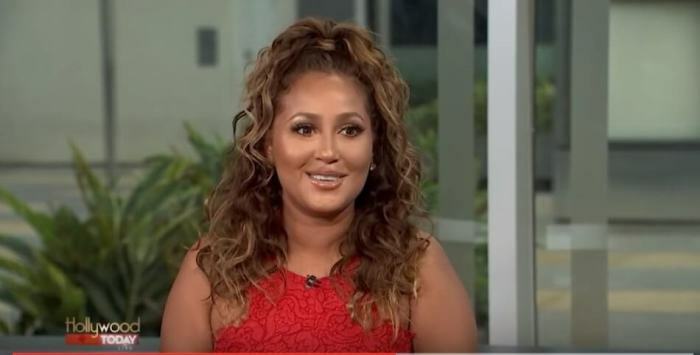 Christian singer-songwriter Israel Houghton is honoring both God and his fiancee, Adrienne Bailon, on her 33rd birthday. Houghton, the 45-year-old lead singer of Israel & New Breed, took to Instagram to share a heartfelt message with his wife-to-be. "Today I honor @adriennebailon as she celebrates her 33rd trip around the sun — and the truth is, which each trip around she collects and reflects more light than before and shines brighter than the sun itself to me," he wrote. "I thank God for her, and I am so blessed to be able to share at least the next 60 or so trips around the sun with her. I love you Baby — so much. And a huge thanks to @nyricanmama for giving birth to the woman who has completely changed my life !#Happy33 #HappilyEverHoughton." Houghton and Bailon have shared their whirlwind romance with fans since making it public after pictures surfaced of the couple's romantic trip to Mexico in March. In August, the pair announced their engagement on social media following three years of friendship. Houghton, who led worship at Pastor Joel Osteen's Lakewood Church (currently on indefinite leave) in Houston, Texas, spoke about Bailon being his best friend. Earlier this year, Houghton echoed similar sentiments by revealing that Bailon was also his best friend. "A friend loves at all times ..." Houghton wrote in a previous Instagram post, quoting Proverbs 17:17. "She @adriennebailon is my best friend. Wanna know why? Because, in times of adversity and storms she loved me AND my flaws." Bailon also revealed how their friendship has blossomed over the years during an interview on "Hollywood Today Live." "We never thought we'd end up together which allows you not to have your representative there. … When you like somebody and you're going into the relationship liking them, you have ulterior motives," she said. "We'd hang out with a bunch of friends and I would say ridiculous things out of my mouth that I probably wouldn't say if I really liked him. And he got to know the real me and I love that." Now, Bailon sees the importance of building a foundation of friendship with her future husband. "We were friends for three years before. And I think that makes a big difference," she said. "And being older, you kind of know what you want. I think when you're younger you have to date around, kind of see what you like, what you don't. There's different things, honestly, from different people that I've dated that I'm like, 'I love this quality, don't love this quality so much.'"